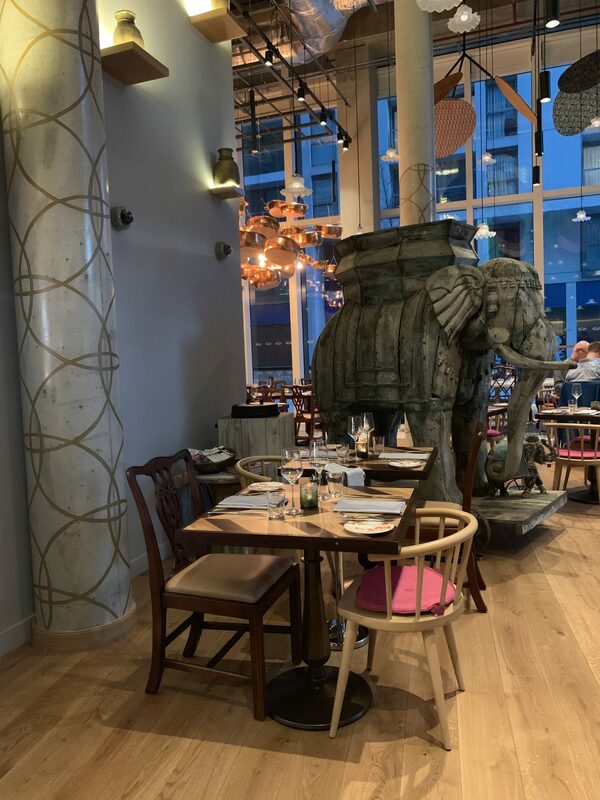 Having worked in Canary Wharf for 9 years of my ex-banking career, I love that there are new restaurants popping up and was pleased to hear that Chef Cyrus Todiwala OBE has opened Mr Todiwala’s Kitchen within the newly opened Lincoln Plaza, in the Curio Collection by Hilton, a stunning new hotel. A great excuse for me to wander to my old stomping ground. The last time I tried Chef Todiwala’s food was a couple of years ago and I remember being blown away! 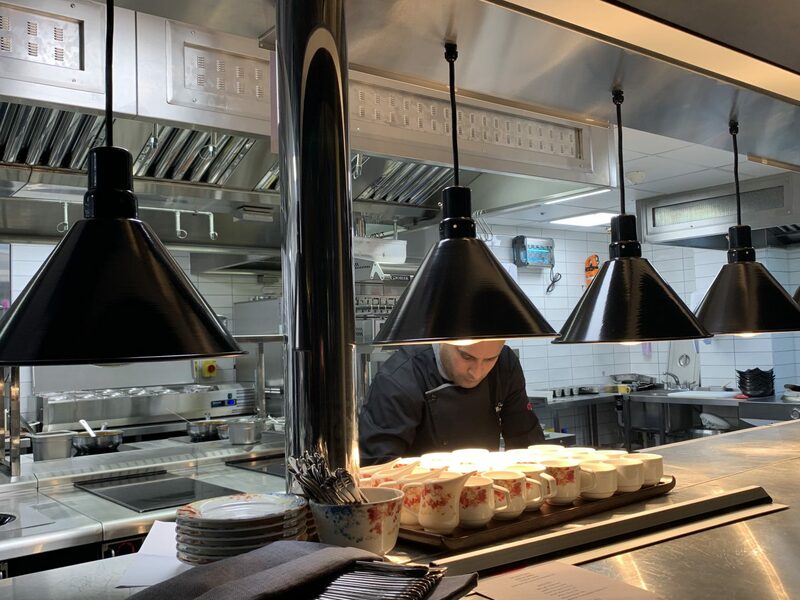 Mr Todiwala’s Kitchen’s location is really convenient, accessible both as a short walk from Canary Wharf Underground station and South Quay DLR station. The restaurant is large and spacious, with tasteful interiors. I especially loved the large elephant and the shelves on the wall lined with terracotta and copper pots. The kitchen is in full view which I always love about a restaurant, and it has a really nice vibe and ambience, with a nice buzz emerging from the kitchen as the chef’s go about preparing the meals. 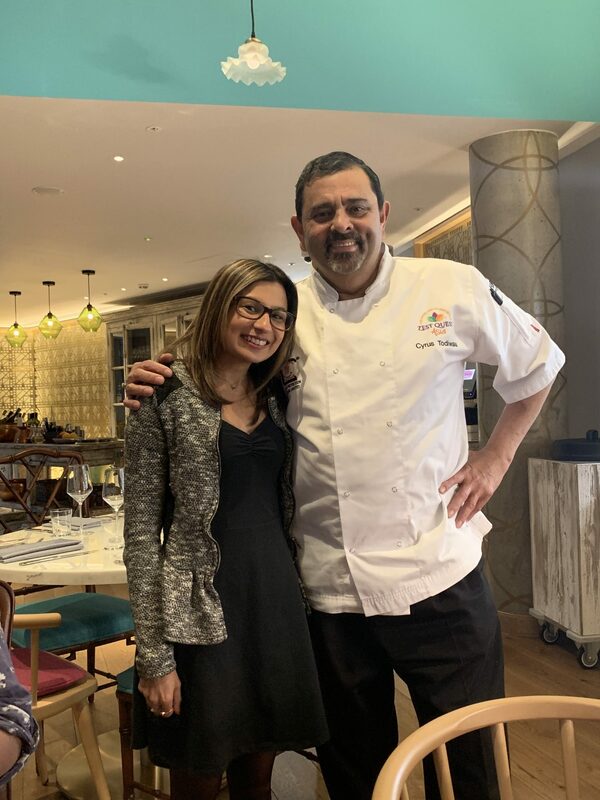 I was pleased that Chef Cyrus Todiwala OBE joined us on the evening as it was my first time meeting him and he was so lovely, taking the time to chat to us. 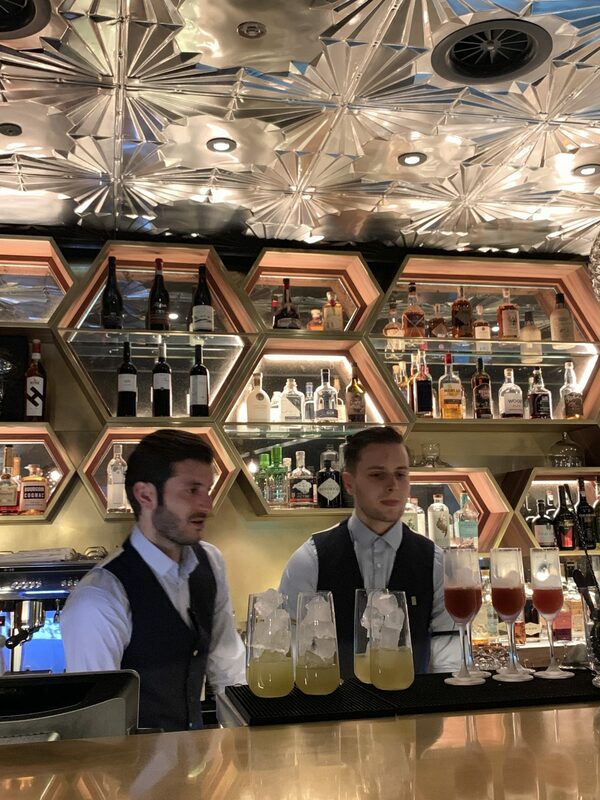 We kicked off the evening with a refreshing cocktail at Jack Speak, a beautiful bar at the hotel, which was really lovely and has a nice terrace which would be great in the warmer months! 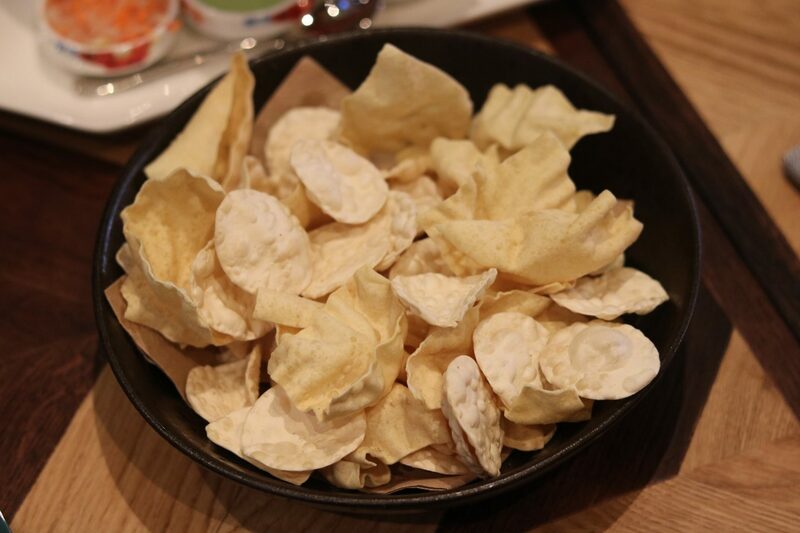 It’s perfect for a pre-dinner or post dinner drink or as a venue to catch up with friends or colleagues. We then returned back to Mr Todiwala’s Kitchen and nibbled on some poppadums whilst we chatted and awaited our food to arrive. The cuisine is a medley of flavours from both Chef’s Parsee culinary heritage and the Indian street food scene. 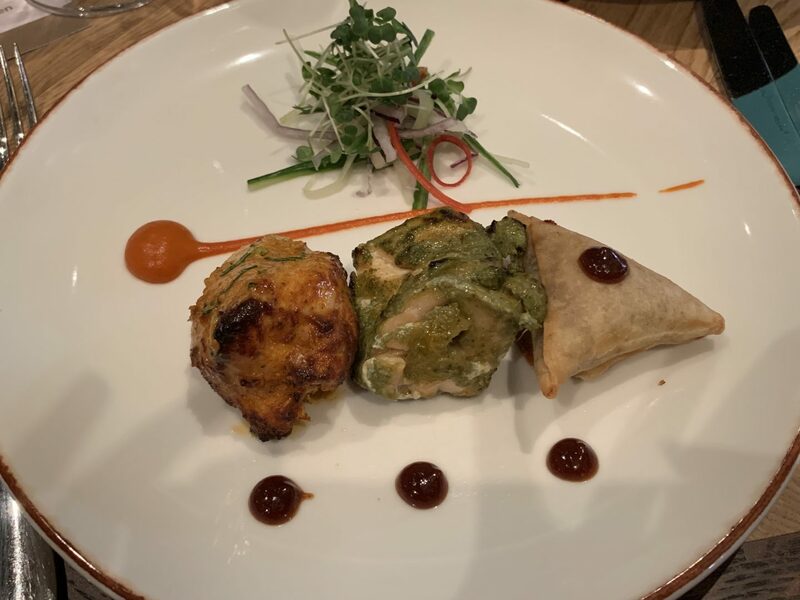 The starter was a fantastic trio of beetroot and coconut samosa, Salmon Tikka and Chicken Tikka. The meat is sourced from British farmers and the fish from local communities, sustainability playing a big part in Chef’s ethos. I was pleased to see that there are no additives or food colouring used in the tikka, something which I find can be used too overtly that is not necessary in Indian kitchens. 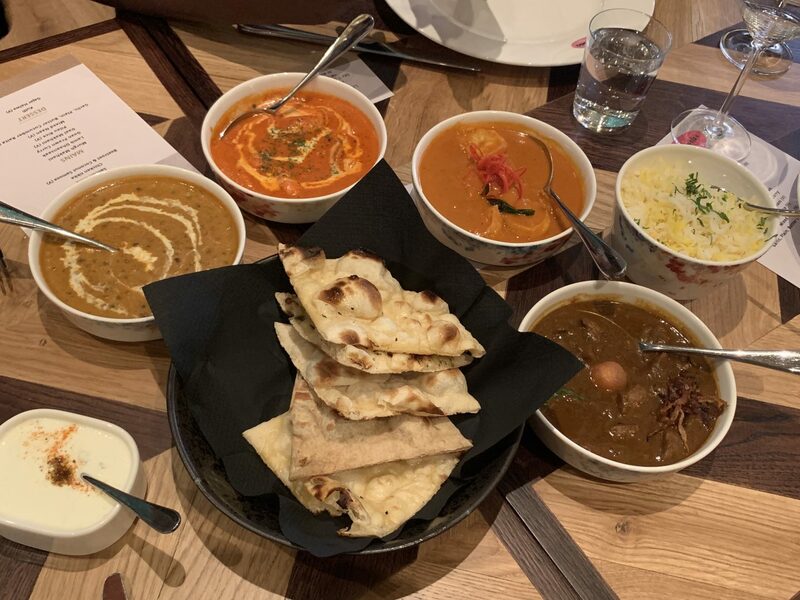 Mains was a splendid selection of Murgh Makhani, Lamb Dhaansaak, Goan Prawn Curry, Daal Makhani and served with Pilau rice, mixed naan breads and a refreshing cucumber raita. The flavours were incredible and my favourite was the Murgh Makhani followed by the Goan Prawn Curry. The breads were freshly baked, fluffy and perfect and I can see Mr Todiwala’s Kitchen being popular as the food was absolutely delicious! 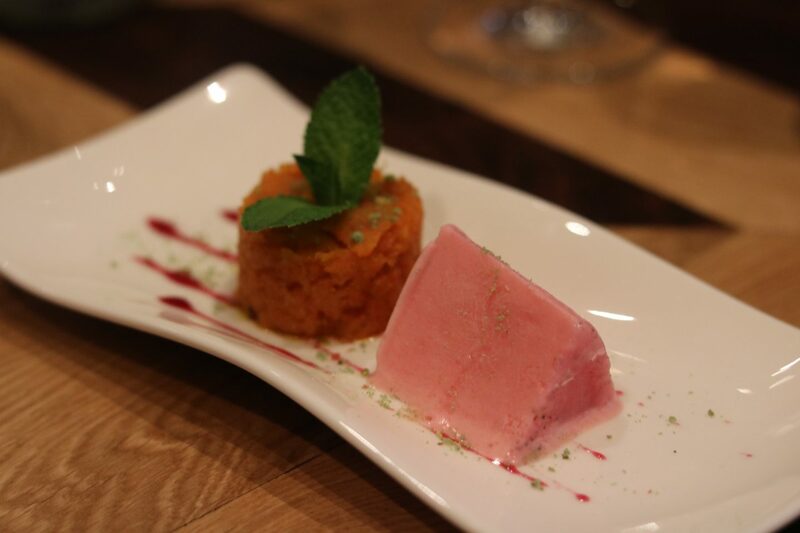 Dessert was Rose flavoured Kulfi and Gajar Halwa, both delectable and the perfect sweet ending to a fabulous meal. 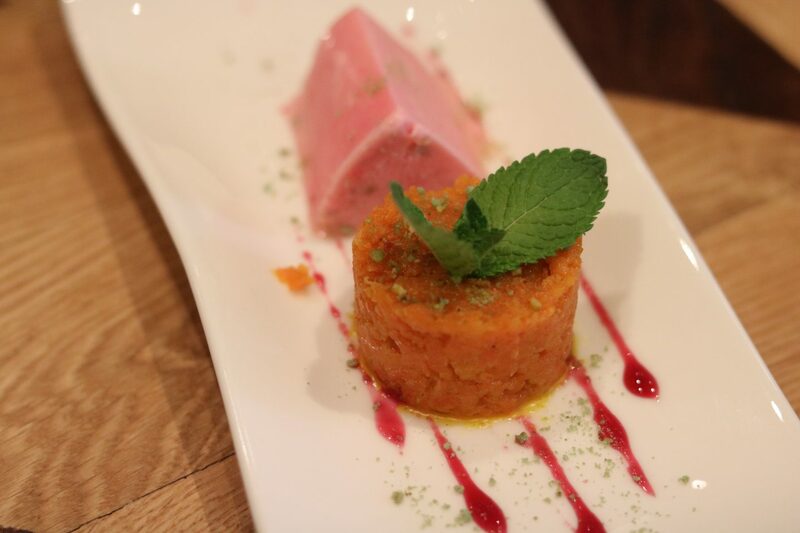 I preferred the Gajar Halva, whose texture was divine! 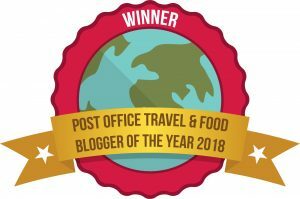 I really enjoyed my meal and would definitely recommend it as a great venue for drinks and food whether you work in the area or are looking for a new place to try. 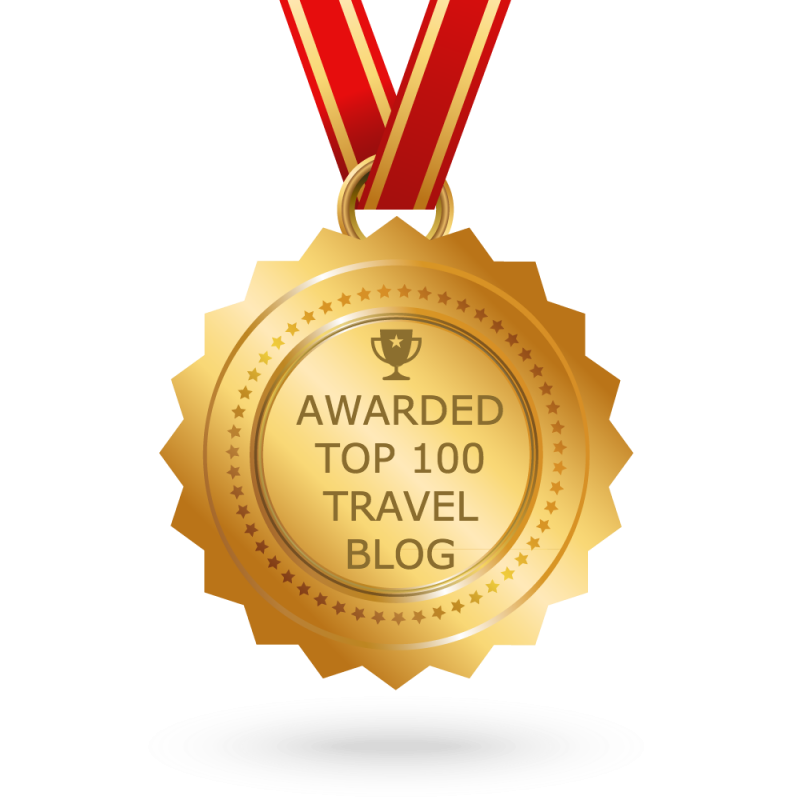 Chef has maintained authenticity in the ingredients and flavours and the menu is fantastic. I was a guest of Mr Todiwala's Kitchen but all views are my own. The food looks fantastic, Binny! 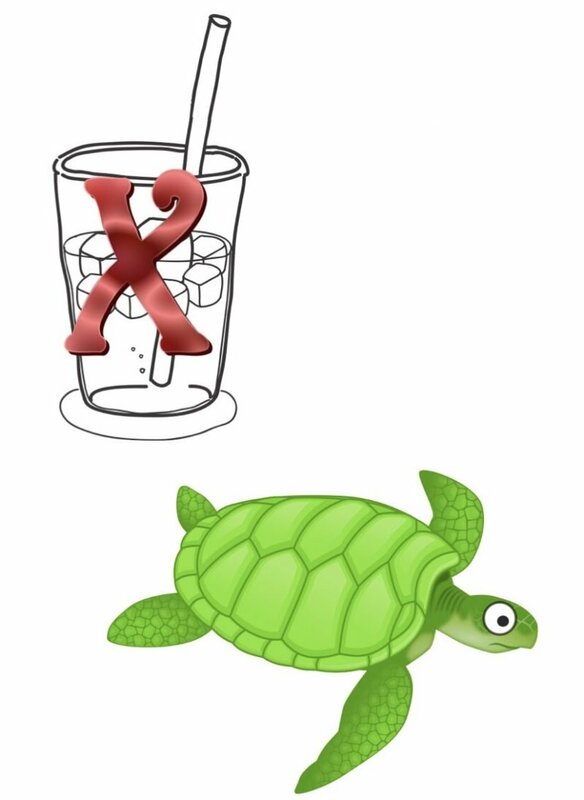 And great that there’s such emphasis on sustainability too..